Check out the latest images from Silver Dollar City and the Showboat Branson Belle. Then, start planning your fall visit! 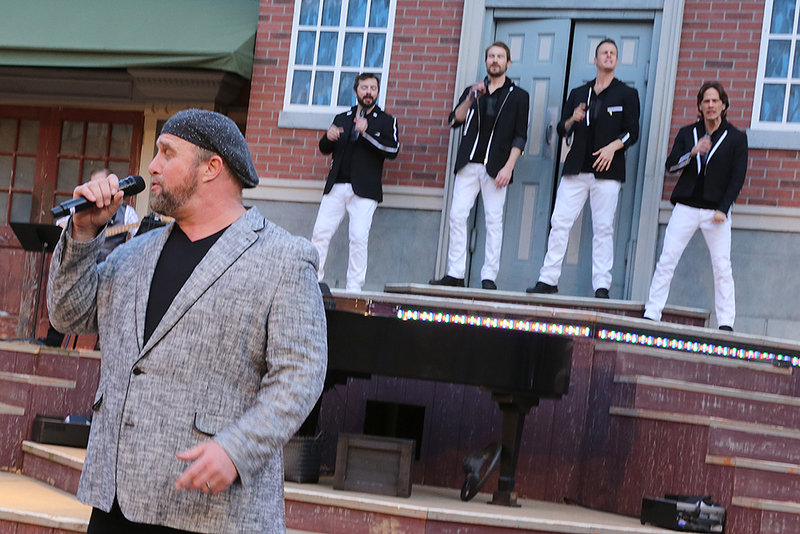 At Silver Dollar City, Hits From the Hollow enjoyed another week of performances in Echo Hollow® Amphitheatre. 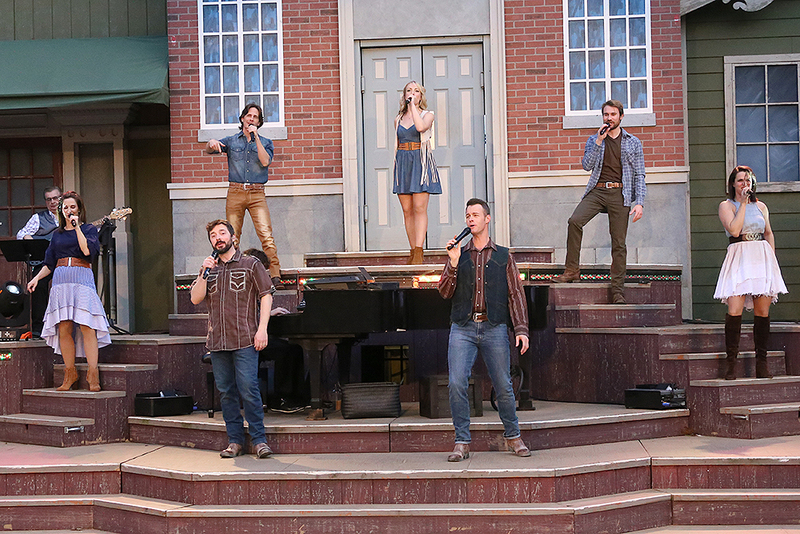 Here, the cast sings and dances during the country music potion of the show. That's just part of the fun! This nightly variety show features new songs and comedy performed by a star-studded lineup of world-class acts. 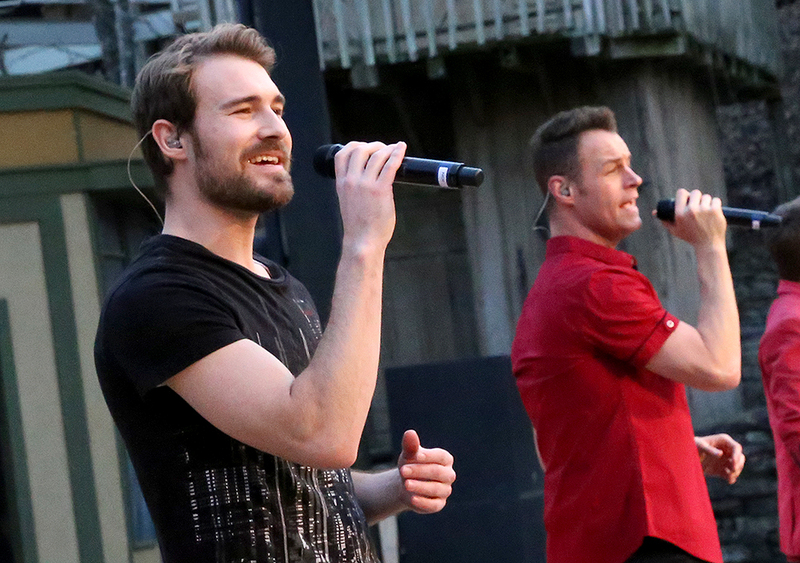 Contemporary Christian recording artist Allen Asbury, left, and male quartet Harmonix perform your favorite hits. 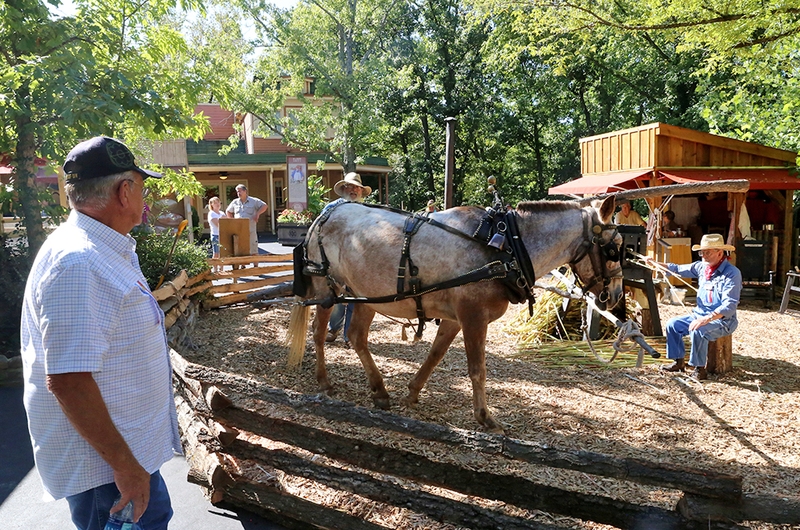 The National Crafts & Cowboy Festival continues at Silver Dollar City. Here, a guest watches as craftsmen create sorghum on the Square. Leaves and trees surround the Wilderness Church in McHaffie's Homestead. 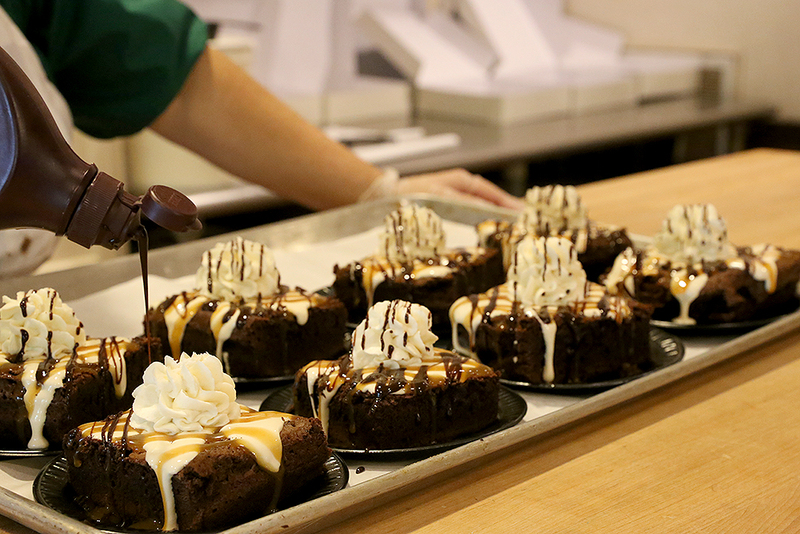 Bakers put the finishing touches on Time Traveler brownies in Eva & Delilah's Bakery. 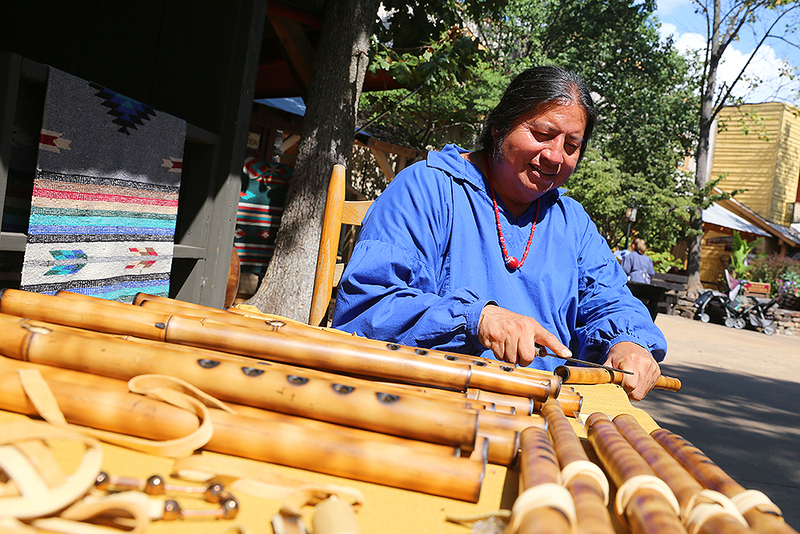 New this year, the National Crafts & Cowboy Festival features the Cherokee Indian Trading Post, which features Cherokee artisans demonstrating crafts that are key parts of the tribe's culture. 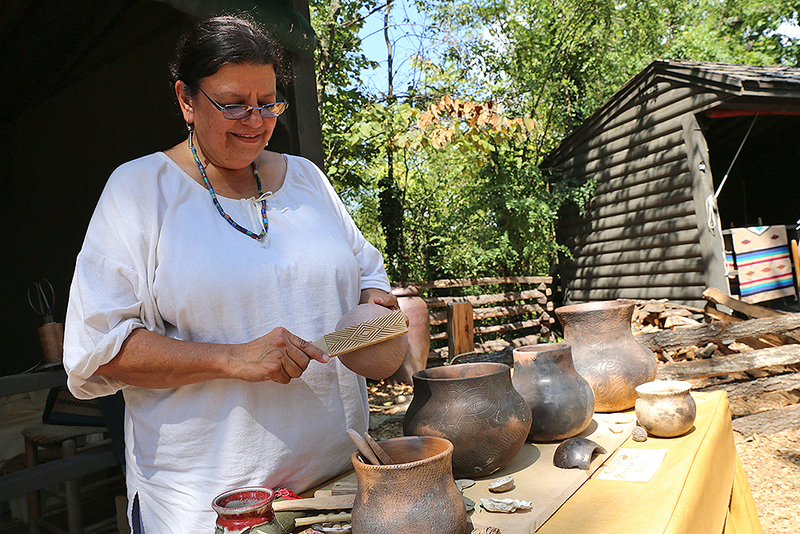 Here, Lisa Rutherford demonstrates how Cherokees used carved wood paddles to decorate pottery. Here, Tommy Wildcat demonstrates how to make a flute from river cane. 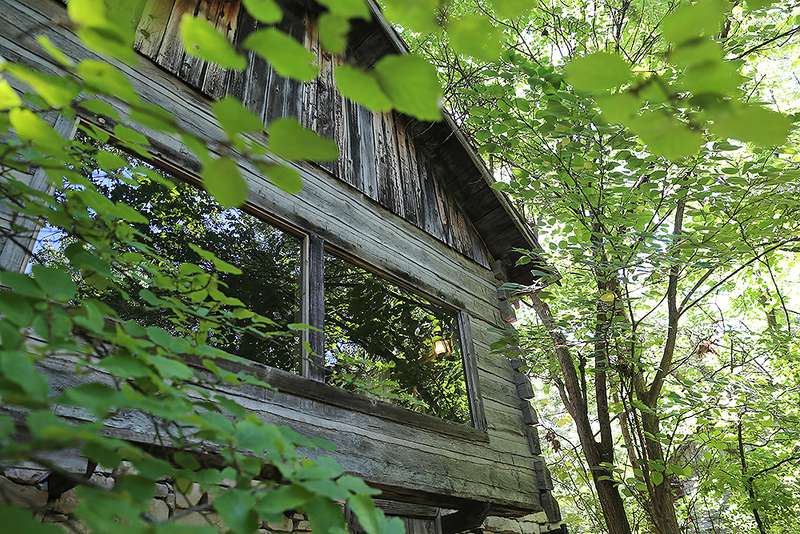 Be sure to stop by to experience the Trading Post before it goes away on September 30! 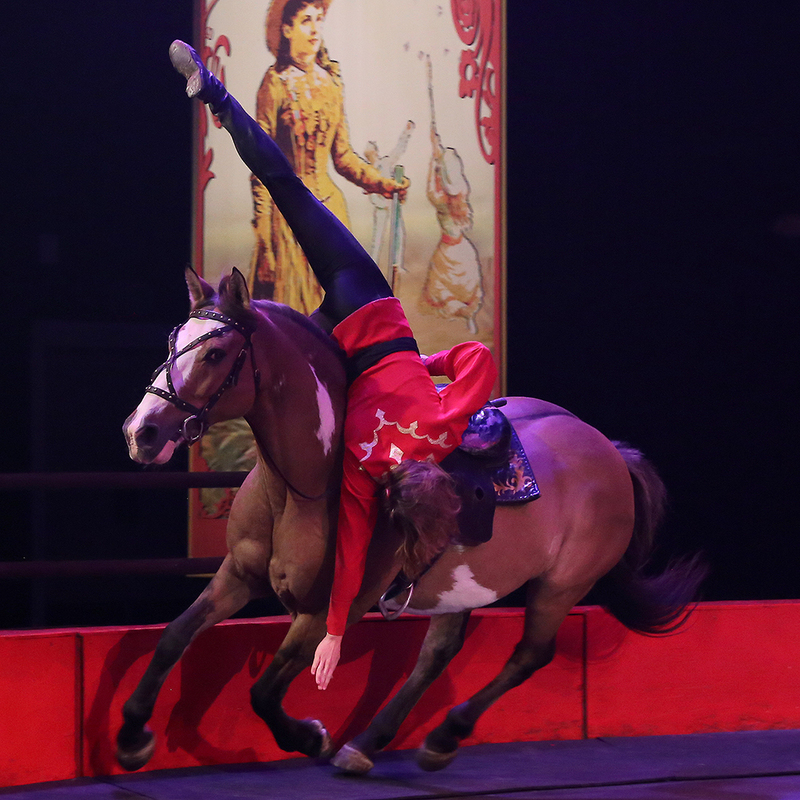 A performer demonstrates trick riding during Silver Dollar City's Wild West Show, which is in its final year of performances. Wild West Show emcee A.J. 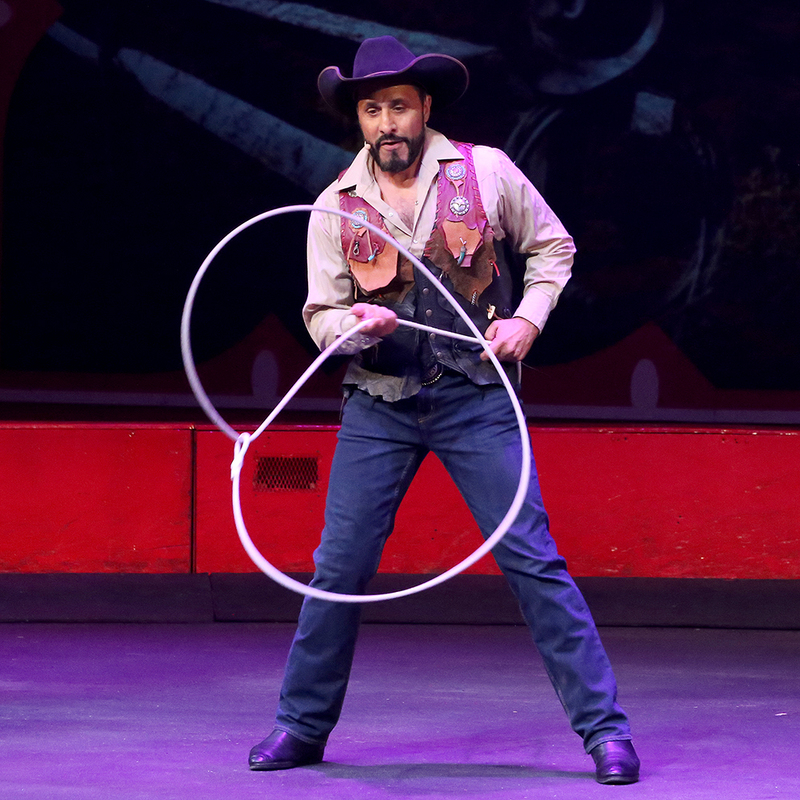 Silver demonstrates the art of trick roping. 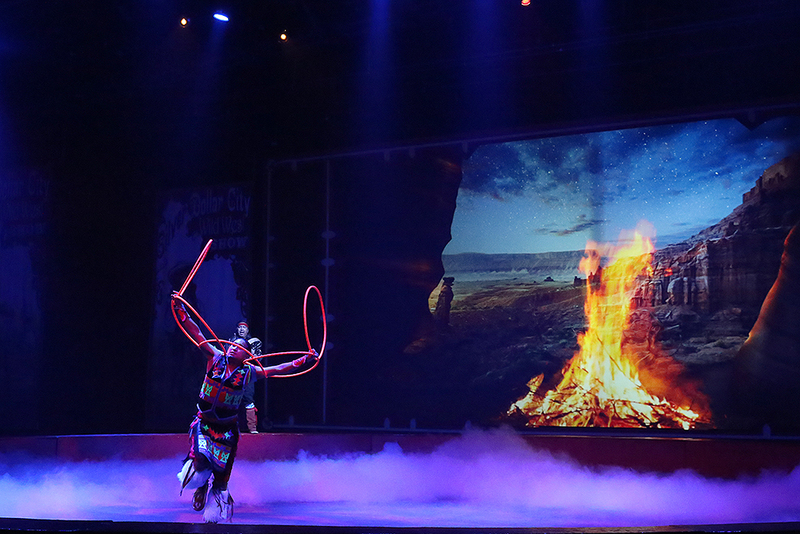 The Wild West Show also features Nakotah LaRance, a nine-time World Champion hoop dancer. Make plans to see the show before its final performance on October 14! 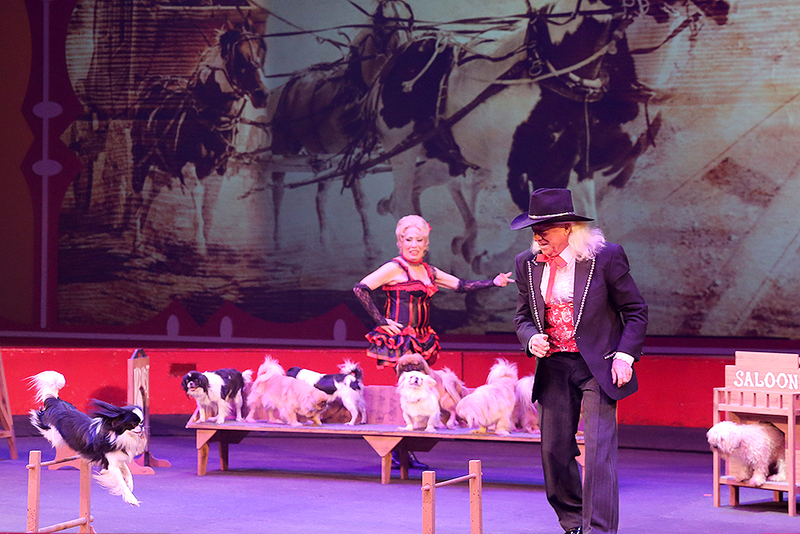 David Rosaire and his Perky Pekingese dogs perform during the Wild West Show. 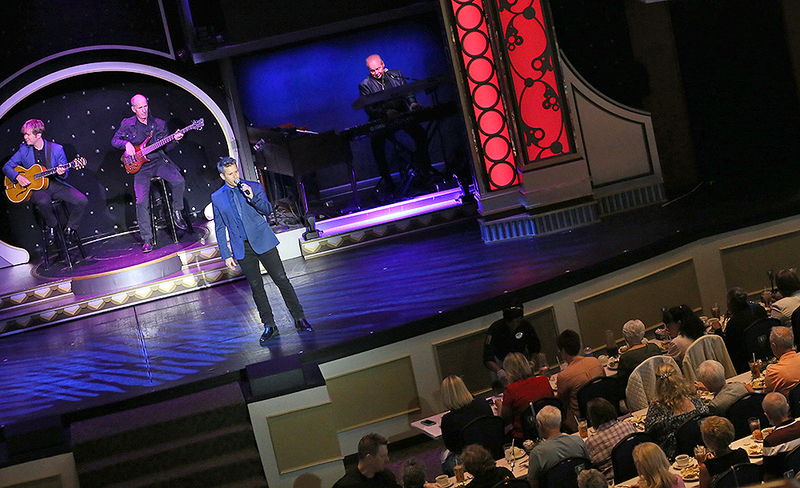 At the Showboat Branson Belle, guests enjoy their meal while a live band and singer perform on stage. 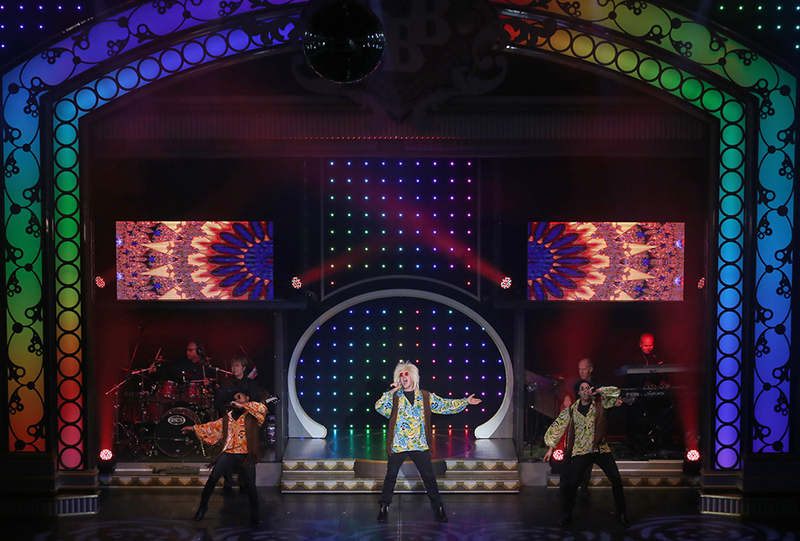 Singers and a live band perform the Steppenwolf hit "Born To Be Wild," from the movie "Easy Rider," during the Showboat Branson Belle's salute to America's Favorite Movies. A singer hits a high note as she belts out Pat Benatar's classic hit "Hit Me With Your Best Shot," part of the show's salute to classic rock hits. The set also includes songs made famous by The Eagles, Kansas, Journey and others. Showboat dancers pose on stage after concluding a toe-tapping routine. The Showboat's emcee asks the audience to make some noise during the pre-show festivities.